A science fair is a great way to showcase learning and explore lots of interesting scientific concepts. Dehydrated fruit is a tasty and healthy snack, which also makes a great science fair project. 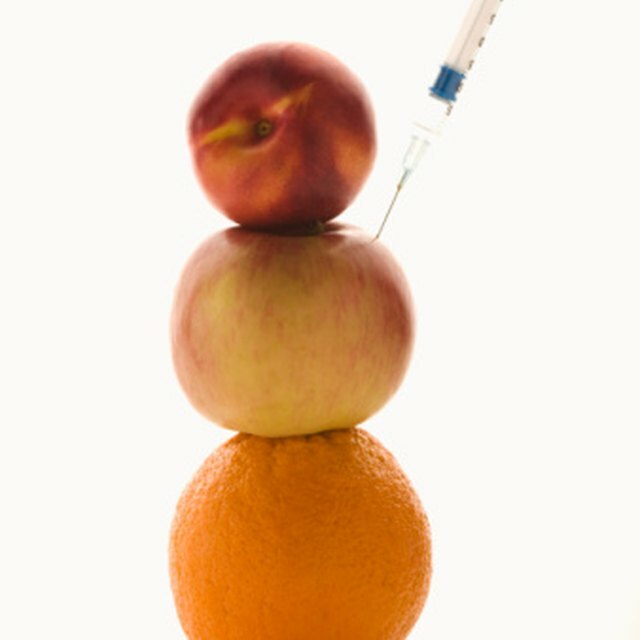 Fruits have lots of moisture, and some have more than others. A science fair project dealing with dehydration could include a project documenting if fruits with a higher moisture rate dehydrate at a faster rate than fruits containing lower amounts of moisture. Fruit dehydration has been around for hundreds of years, with prehistoric people sun-drying seeds and later with the North American Indians dehydrating meats in the sun. According to Encyclopedia Britannica, other cultures through history dehydrated foods, such as Asian cultures dehydrating fish, eggs and rice. Traditionally, fruit, and other items were dried in the sun for several hours or days until the moisture had been removed. Then, the fruits could be put in containers and enjoyed for months in a dehydrated state, or rehydrated and eaten. Today, fruit dehydrators can be purchased at most stores, or the oven can be used at an extremely low temperature to create healthy and safe dehydrated fruit. Create a science project showing the amount of moisture content to the dehydration rate of a variety of fruits. This will involve using a scale, an oven and a timer. Select a variety of fruits that contain differing amounts of liquid, such as ripe peaches, pears, strawberries and bananas. Prepare the fruits by washing, peeling, pitting and then slicing them all at the same thickness. Science fair projects need a purpose, hypotheses, procedure and conclusion or results. Write out what the purpose of the fruit dehydration experiment is along with making a chart documenting the weights of a slice of each fruit before the dehydration process. Write a short hypothesis of what is deduced by the weights of each fruit. Will the heavier fruits take a longer or shorter amount of time to dehydrate? Line several baking trays with parchment paper and set the oven for 100 degrees Fahrenheit. Place fruit on the trays and put the trays in the oven. The procedure of the dehydration experiment includes removing the trays hourly and weighing a piece of each fruit. The weights will be added to the chart and compared. Continue documenting until the fruits have dehydrated, or for several hours. Create a display documenting the results from the dehydration experiment and if the fruit’s moisture content affected the rate of dehydration. Include all information from the experiment in the display in a colorful and educational way. 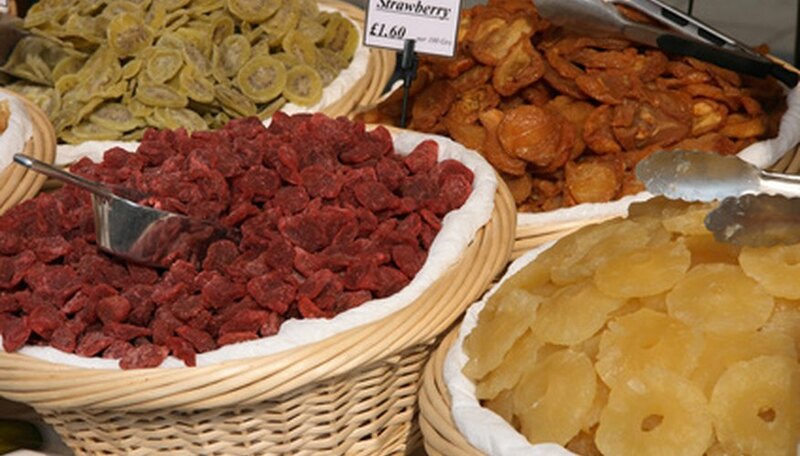 Offer samples of the dehydrated fruit for others to taste. Topics for a Science Project: What Fruit Has the Most Acid? Science Project: Which Brands of Cereal Stay Crunchy the Longest? Lipoff, Sarah. "Science Fair Project: Dehydrating Fruit." Sciencing, https://sciencing.com/science-fair-project-dehydrating-fruit-6466551.html. 25 April 2017.